Huawei P20 is one of two flagship smartphones released by Huawei in March 2018. Designed to go toe-to-toe with the latest smartphone big-hitters such as Samsung’s Galaxy S9 and the Sony Xperia XZ2 this new smartphone has a 5.8in, 18.7:9 FHD+ (2,244 x 1,080) resolution display, a first for the P-series of phones and a handful of exciting design improvements, which I’ll go into more detail below. 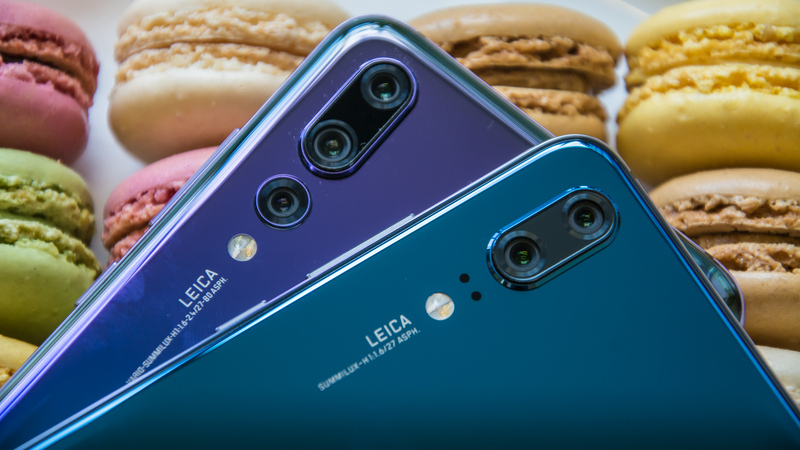 Elsewhere, the phone is equipped with Huawei’s typical dual camera setup on the rear: with an f/1.8 12-megapixel colour camera working in tandem with an f/1.6 20-megapixel monochrome unit. A HiSilicon 2.4GHz Kirin 970 processor powers things, complete with 4GB of RAM and 128GB of non-expandable storage. This phone also runs the latest version of Google’s mobile operating system, Android 8.1 Oreo, with Huawei’s own EMUI 8.1 software built over the top. 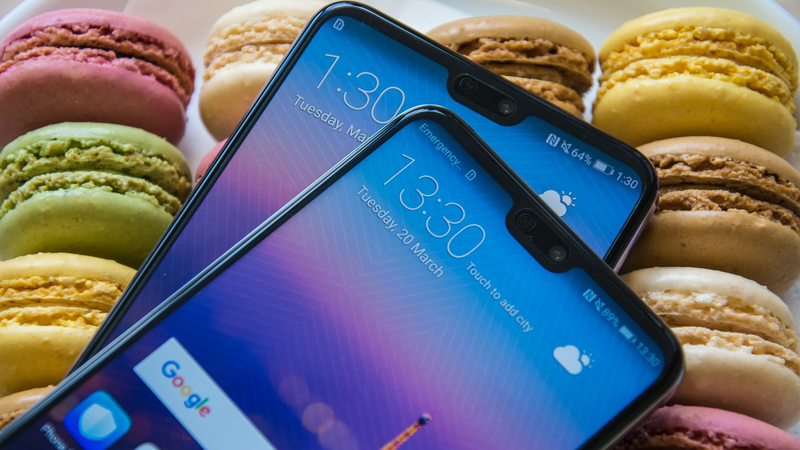 Let’s get the obvious out of the way first: Huawei’s P20 looks an awful lot like the iPhone X, doesn’t it? In fact, the 18.7:9 display on the front also has an Apple-like notch on the top, although it’s roughly a third of the size of its iOS-powered alternative. The dual camera arrangement on the back of the phone looks very similar, too, with both lenses placed vertically in the top left corner of the rear panel. That’s certainly not a bad thing. The iPhone X was one of the best-looking smartphones of last year so why shouldn’t Huawei draw design inspiration from it? The back of the phone is equally lovely. Coated in smooth glass, with slightly-curved, chrome-coated edges, it’s a very pretty handset and looks particularly dazzling equipped with either of the “gradient” colour variations: twilight and pink gold. 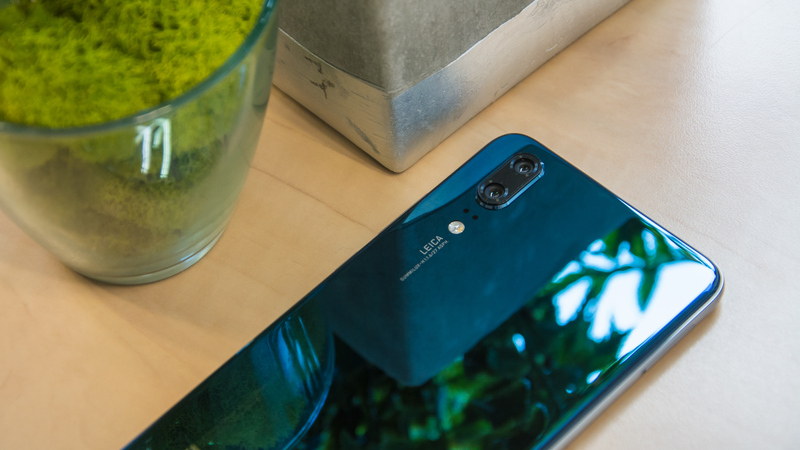 With these two colours, the phone’s colour hue subtly changes from top to bottom in a similar effect to HTC’s shiny U11 Plus released last year. The only downside is – bizarrely – the front-mounted fingerprint sensor, which significantly adds to the height of the phone and makes the bottom of the phone looks a little old-fashioned. Still, the fingerprint sensor can be used for navigation, which I suppose is handy if you don’t mind learning an entirely different way of using your phone. As for the practicalities, they’re as you’d expect from any aspiring flagship handset. 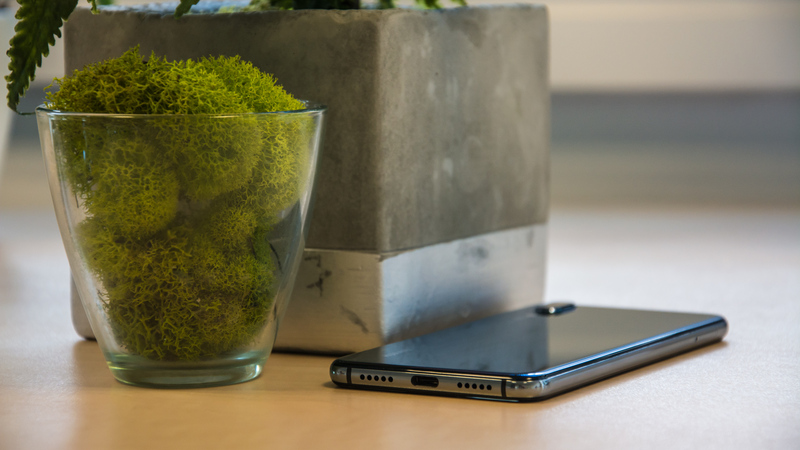 The volume and power keys sit next to each other on the right edge of the phone, a nano-SIM tray is accessed from the left-edge and there’s a solitary USB Type-C charger socket on the base. The 3.5mm headphone jack is gone, but this year’s phone does include IP53 dust- and water-resistance. The differences between the two versions of Huawei’s latest phone become more obvious when you look at their internal specifications. 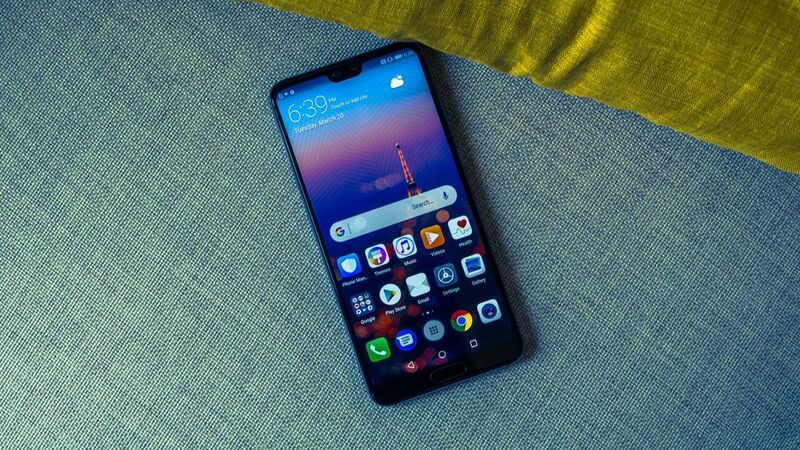 The P20 is slightly lacking: it’s still equipped with the same octa-core 2.4GHz Kirin 970 processor and 128GB of non-expandable storage, but this is backed up with only 4GB of RAM – as opposed to the 6GB on the P20 Pro. Its long-tall 18.7:9 display – which is a first for Huawei’s P-series flagships – isn’t as fancy, either. It’s slightly smaller than its three-eyed alternative, measuring 5.8in from slightly-rounded corner to slightly-rounded corner but, instead of using an OLED panel as the P20 Pro does, this smartphone is equipped with an RGBW LCD display. This raises a couple of flags. During my brief hands-on session the P20’s 2,244 x 1,080 resolution display didn’t look as vibrant as the P20 Pro’s lovely OLED panel but, perhaps most importantly, I anticipate a hit to battery life. Last year’s Mate 10 duo of smartphones had the same arrangement, and the regular Mate 10’s battery life was short of the Mate 10 Pro’s two-day stamina. This is likely to be further hindered by the 15% smaller battery on the P20 (3,400mAh). This entry was posted in Huawei phones. Bookmark the permalink.